Recently, the largest cold chain logistics base in southwest China, which was invested 2.5 billion, was officially laid in Chengdu Yinli Refrigeration Logistics Center. After the official laying of the Yinli Refrigeration Logistics Center, it will adopt the agricultural industrialization and intensification to shake up the entire cold chain logistics market structure and pull the cold chain logistics industry to reshuffle. â€œActually, there are also a lot of cold storages in surrounding counties and counties in Chengdu, but the empty storage rate is more than half a year or even more than 9 months. The logistics cost is very high.â€ Yin Bin, chairman of Yinli Refrigeration Logistics Co., Ltd., said that Yinli Refrigeration Logistics Center Based on a large market and large circulation, it will increase the efficiency of cold storage and effectively reduce logistics costs. After the completion of the Yinli Refrigeration Logistics Center, the Toqing Baijiang District Da Zang bulk cargo flow park will be provided with a dedicated railway line. Yinli Cold Chain Logistics will radiate the entire southwest region and will be used to distribute frozen and refrigerated food safely in many cities in the southwest and even in the global market. . Among them, 300,000 tons of low-temperature cold storage will be divided into â€œmulti-temperature refrigeration areasâ€ to classify various foods for refrigeration. The cryogenic cold storage will also adopt the technology of freezing below -55Â°C for the first time, ensuring that tuna and other ingredients imported from abroad are safer and fresher. â€œActually, there are also a lot of cold storages in surrounding counties and counties in Chengdu, but the empty storage rate is more than half a year or even more than 9 months. The logistics cost is very high.â€ Yin Bin, chairman of Yinli Refrigeration Logistics Co., Ltd., said that Yinli Refrigeration Logistics Center Based on a large market and large circulation, it will increase the efficiency of cold storage and effectively reduce logistics costs. After the completion of the Yinli Refrigeration Logistics Center, 300,000 tons of low-temperature cold storage will be divided into â€œmulti-temperature refrigeration areasâ€ to classify various foods for refrigeration. The cryogenic cold storage will also adopt the technology of freezing below -55Â°C for the first time, ensuring that tuna and other ingredients imported from abroad are safer and fresher. â€œFood safety is a hot topic in China. It can be said that without 100% cold-chain logistics, there is no 100% food safety!â€ said Xie Bin. By then, Yinli Logistics Center will build a â€œclosed platformâ€ to ensure food is transported. During the process, the cold chain is not disconnected, and the frozen and frozen foods are truly safe and healthy. The scope of application of cold chain logistics includes: primary agricultural products: vegetables, fruits, meat, poultry, eggs, aquatic products, and flower products. Processed foods: frozen foods, poultry, meat, aquatic products, such as packaged cooked foods, ice cream and dairy products; fast food ingredients. Special commodities: drugs. 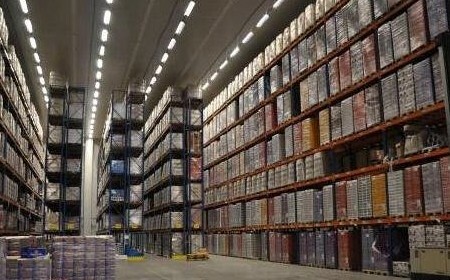 Since the food cold chain is a supply chain system that aims to ensure the quality of perishable foods and maintain the low temperature environment as the core, it is more demanding and complex than the normal temperature logistics system, and the construction investment is also much larger. Huge system engineering. In recent years, there are nearly 2,000 frozen food manufacturers in China with annual sales of 10 billion yuan. For three consecutive years since 1999, sales of frozen foods have ranked first among food commodities sold in supermarket chains nationwide.